John Micklethwait | Bloomberg Media Talent | Bloomberg L.P.
John Micklethwait is the Editor-in-Chief of Bloomberg where he oversees editorial content across all Bloomberg platforms, including its news, newsletters, magazines, opinion, television, radio and digital properties, as well as its research services including Bloomberg Intelligence. Prior to joining Bloomberg in February 2015, Micklethwait was Editor-in-Chief of The Economist where he led the newspaper into the digital age while expanding its readership and enhancing its reputation. He joined The Economist in 1987 as a finance correspondent and served as Business editor and United States editor before being named Editor-in-Chief in 2006. Micklethwait began his career in banking at Chase Manhattan in London after studying history at Magdalen College, Oxford. He is the co-author of six books, most recently The Fourth Revolution: The Global Race to Reinvent the State. 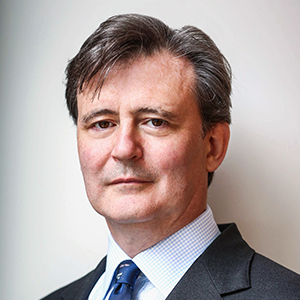 In 2010, Micklethwait was named Editors’ Editor by the British Society of Magazine Editors. He is a trustee of the British Museum.